We, the faithful of the Roman Catholic Church of St. Nicholas of Tolentine in Philadelphia, in communion with our Holy Father, the Pope, shepherd of the universal Church and the Archbishop, shepherd of the Church in Philadelphia, proclaim to everyone the Good News that Jesus Christ is the Way, the Truth and the Life, who offers to all who accept Him as Lord, eternal life. As members of the Body of Christ, by our common baptism and confirmation and strengthened by the gift of the Holy Spirit, we share this Life by proclaiming and witnessing the Gospel of Jesus Christ. A community that worships God by placing a high priority on enthusiastic and meaningful Liturgy nourished by a deep spiritual life shared by young and old. One that creates and strengthens our Christian community by providing activities that enrich family life and foster civic involvement. A community that proclaims the Good News by giving highly visible witness to Jesus through our cooperative efforts, inviting each of our sisters and brothers in the parish community to share our faith and mission. A community that teaches the message of Christ by sustaining a vibrant parish school and providing religious educational programs which enliven and enrich our Catholic faith. A community that serves those in need, especially the poor by acts of Christian Charity. We pray to God, the Lord of life, through the intercession of Mary and our patron Saint Nicholas of Tolentine, for guidance and strength to be faithful to our mission, so that we may share eternal life. The birth of St. Nicholas of Tolentine Church occurred during an era of great change in the United States and the city of Philadelphia. It was established in 1912, but its roots go back even further. Its early history unfolded at a time of unprecedented turmoil and controversy. The parish’s continued existence is a great testimony to the resilient faith and profound spirituality of the members of the congregation. America was always a nation of immigrants, but when the people of Eastern and Southern Europe began arriving in unprecedented numbers in the late 1800’s, they were deemed less compatible and desirable than the earlier settlers. It was feared that their presence would likely damage American society, institutions, and culture. Italian immigrants were a large part of this new population and were often met with hostility. The Catholic Church in Philadelphia also faced a challenge in addressing what one Bishop termed the “Italian Problem.” The new immigrants were undeniably poor, did not speak English, and carried spiritual beliefs and customs that were somewhat different from those of the largely Irish and German Catholics who held positions of authority in the archdiocese. In many ways they seemed out of place – their style of dress, their music, their zealous dedication to patron saints, and their peculiar emphasis on food as a critical part of their social and religious fabric. When an earlier and smaller wave of Italians had arrived in the 1850’s, Archbishop John Neumann showed great foresight in developing the concept of a “National Parish” – a church created specifically to minister to a particular ethnic group – hence the creation of St. Mary Magdalene de Pazzi, the first Italian National Parish in the United States. But by the late 1800’s, the number of immigrants in South Philadelphia had grown so tremendously that Archbishop Patrick J. Ryan decided he needed significant help from Italian speaking priests. 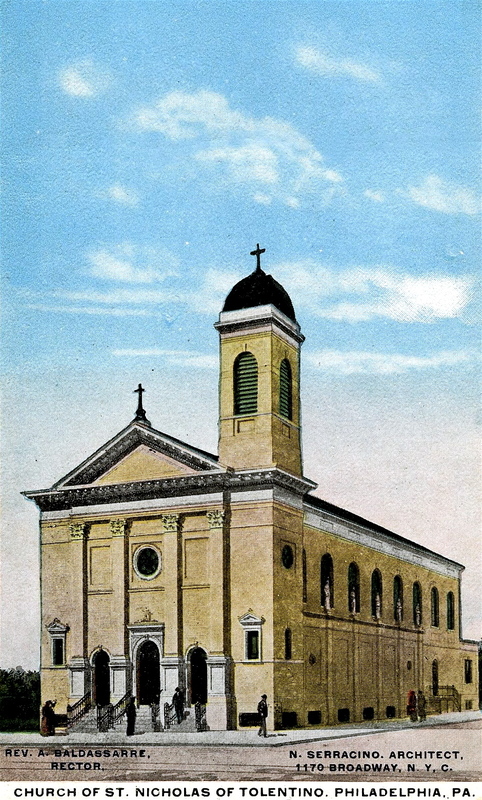 With the aid of his friend, Archbishop Sebastiano Martinelli, an Augustinian, he established a new parish - Our Lady of Good Counsel, at 8th and Christian Streets in 1898. The Augustinians agreed to send three priests from Italy to begin this mission and they were given a huge mandate – the pastoral care of all Italians in Philadelphia, except for members of the existing parish of St. Mary Magdalen de Pazzi. It was also agreed that ultimately, upon the passing of the longtime pastor Fr. Antonio Isoleri, even that parish would be turned over to the Augustinians. People felt a great affinity for the new church and found a congenial home there. St. Mary Magdalen was long considered the “Genovese church”, made up of mostly Northern Italians who had arrived a half century earlier and were firmly planted in the United States. The new arrivals from Southern Italy and Sicily clearly needed a place to call their own and during its 35 years of existence, Buon Consiglio thrived, recording an amazing 10,000 marriages and 75,000 baptisms. Unlike the archdiocesan priests who sought to have Italians assimilate, the Italian Augustinians encouraged and enabled the congregation to retain its original culture and personal identity. They became champions of ethnic pride and religious fervor. Pastor Angelo Caruso gave impassioned sermons in Italian urging the faithful to preserve their traditions. But by consistently delivering this message, he was implicitly challenging archdiocesan authority and soon this semi-autonomous colony of Catholics would be seen as a threat to church leaders. In a relatively short time, the Italian population in Philadelphia grew from an estimated 30,000 to more than 150,000, and began to rise in stature, education and economic status. As this occurred, the Archdiocese became increasingly uncomfortable with having ceded such a burgeoning population to a specific order of foreign priests. Soon the congregation of Our Lady of Good Counsel Parish became overwhelming and an additional church building was sought, specifically for those settling below Washington Avenue. In early 1912, a suitable property became available. The Salem Evangelical Church at 9th & Watkins had been offered for sale to a Jewish congregation, but the deal fell through and the Augustinians were able to obtain it for only $14,500, with the blessing of Archbishop Edmond Prendergast. On April 4th, an article in the Evening Bulletin lamented that “due to great changes in the character of the population in that neighborhood, the congregation of the Protestant church has dwindled”, noting that the fleeing residents were being replaced by the new Italian Catholics. The Augustinians sought a distinctive name for the church, and after some deliberation, it was dedicated to Saint Nicholas of Tolentino, a 13th Century Augustinian, who was the first canonized saint of the Order and is venerated as the patron of the faithful departed. Father Giovanni Cerruti was put in charge at the age of 32. On Sunday April 14, 1912 the church of St. Nicholas of Tolentine was officially dedicated with a lovely ceremony held at 3:00 PM. There was great joy among the people, as Italian religious and beneficial societies with brass bands and banners joined the celebration amidst a profusion of Italian and American flags and the children of Our Lady of Good Counsel Church singing hymns. Sadly, the joyous mood changed that evening as word spread of an event that overshadowed the establishment of the new church – the luxury liner the Titanic struck an iceberg only hours after the ceremony ended, and by the next morning it sunk, claiming over 1,500 lives. The Archdiocesan archives hold a page of clippings from the week of April 14, 1912 with both a press release announcing the establishment of St. Nicholas of Tolentine and a copy of a letter from Archbishop Prendergast appealing for prayers for the victims of the disaster. 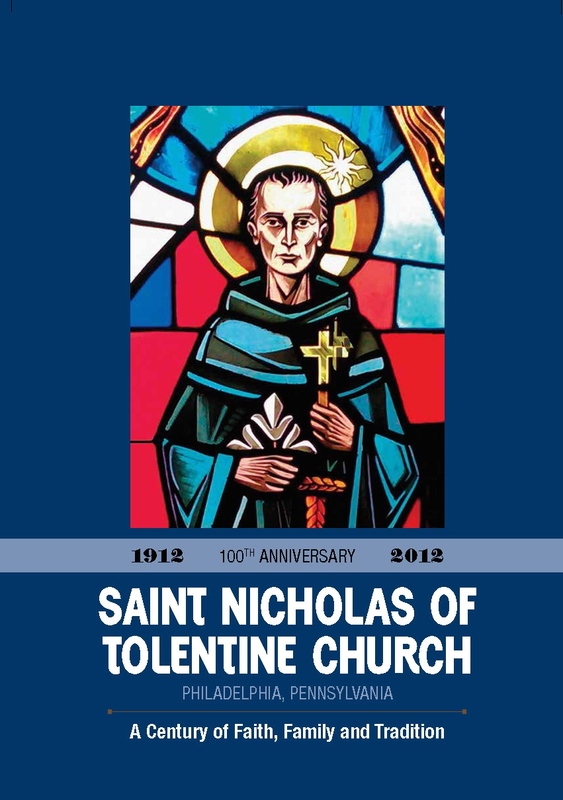 During its early years, St. Nicholas of Tolentine continued to serve as a mission church of Our Lady of Good Council, but its growth was vigorous nonetheless. During its first year, membership grew to 2,500 people and it established a Sunday school for the immigrant children – Scuola Domenicale di San Nicolo. Father Alfonso Baldassare carried on the work of Fr. Cerutti when the young priest became ill in 1914 and tragically died a few years later at the age of 39. Fr. Baldassare proved to be a major figure in the history of St. Nicholas of Tolentine, serving for 12 years. His ambitious leadership helped the church develop and become a significant presence in South Philadelphia. With growth came a need for a larger church, and Father Baldassarre responded. In 1916, the original chapel was demolished and work began on a new building. Masses took place in a house at 1720 South Ninth Street, in which the first floor had been converted into a long hall. With no church to be had, wedding photos were taken in studios with a church image superimposed in the background. Father Baldassare’s desire to build an important edifice led him to select an award winning Italian architect, Nicholas Seraccino, who had studied in Naples and maintained an office on Broadway in New York City. Seraccino had recently completed two structures in Manhattan - The Church of the Sacred Hearts of Mary and Jesus, which bears a striking resemblance to St. Nicholas, and his masterpiece – the church of St. Jean Bapiste which stands at 72nd and Lexington in the upper east side and is considered the most significant catholic church building in New York, other than St. Patrick’s Cathedral. Serracino’s elegant and simple neo-classic design for St. Nicholas was quickly realized and the new church opened in one year. Fr. Baldassare developed plans that called for the purchase of land on the site of St. Mary’s Cemetery at 10th & Moore Streets, but was told by the diocesan Consultors that Canon Law forbade construction that would disturb graves. Ironically, 30 years later, the same laws were overridden to accommodate the building of St. Maria Goretti High School. Nonetheless, a smaller lot at 9th and Pierce was chosen and the new school opened in September of 1925, staffed by the Missionary Sisters of St. Francis who would remain there for 26 years. As St. Nicholas of Tolentine thrived, all was not well among the leaders of neighboring churches and the policy makers within the diocese. As early as 1926, the pastor of St. Mary Magdalen complained to Cardinal Dougherty that the Augustinians were keeping him in a state of “constant agitation” by their incursions into his parochial territory. Fr. Pambianco was now leading St. Nicholas and was known for his eloquent speaking, strong personality and expressive pen. A series of contentious letters illustrate the growing controversy surrounding the reach of Augustinian authority that was wielded from Good Counsel and St. Nicholas. The issue would not go away, even when Fr. Pambianco departed Philadelphia after being accused of writing a poem that was not complimentary of the Cardinal. By the early 1930s, the Archdiocese recognized that the time had come to reexamine its strategy of ministering to Italian speaking Catholics and to reign in the authority of the Italian priests. Cardinal Dougherty determined that the agreement granting exclusive pastoral care to the Augustinians had been made without the proper consent of the Consultors and should be abrogated. Further, it was decided that Our Lady of Good Counsel parish should close and its Italian speaking parishioners be dispersed to other nearby churches. In the Cardinal's design, the parish which had become highly symbolic of semi-autonomous ethnic identity, had to disappear. It was therefore ordered that the Italian priests and the canonical foundation of Good Counsel would formally be transferred to St. Nicholas of Tolentine. The decree was reluctantly accepted by the Augustinians. The Archdiocese announced these plans on May 3, 1933 amid great dismay, protest, and rebellion by many in the Italian community. A huge public demonstration exploded on the streets of South Philadelphia, and by nightfall, a crowd of 1,500 people converged on the church. The crowd prevented the pastor, Fr. Marini, and his assistants from leaving the rectory, ultimately holding the pastor under house arrest for months. As the protests continued, national and international help was sought. A delegation met in Washington, D.C. with the Italian Ambassador to the U.S., while others sent a cablegram to Pope Pius XI begging for his intervention. Despite these actions, Cardinal Dougherty stood firm, and Our Lady of Good Counsel was closed. The action left a permanent scar on the local community and severely damaged their view of the Cardinal. When he arrived for Confirmation ceremonies at a nearby parish later that year, police were called to guard him from possible harm. With all of this upheaval and sadness, many took comfort and pride in the expansion of St. Nicholas of Tolentine, finally declared an independent parish in 1932. In the next 2 years, membership grew from 900 families with 4,800 individuals, to 2,300 families and nearly 12,000 people. In the new parish, the people found a refuge from the storm of assimilation. It was a place where they could maintain the traditions they brought from their native land, particularly a dedication to their patron saints. Societies were established for dozens of Italian Saints, each with a suitable statue, banner and feast day. These societies and their corresponding processions were a significant demonstration of faith for the people, and along with the distinguished organizations of the Sodality and the Holy Name, gave the parishioners a strong sense of place. 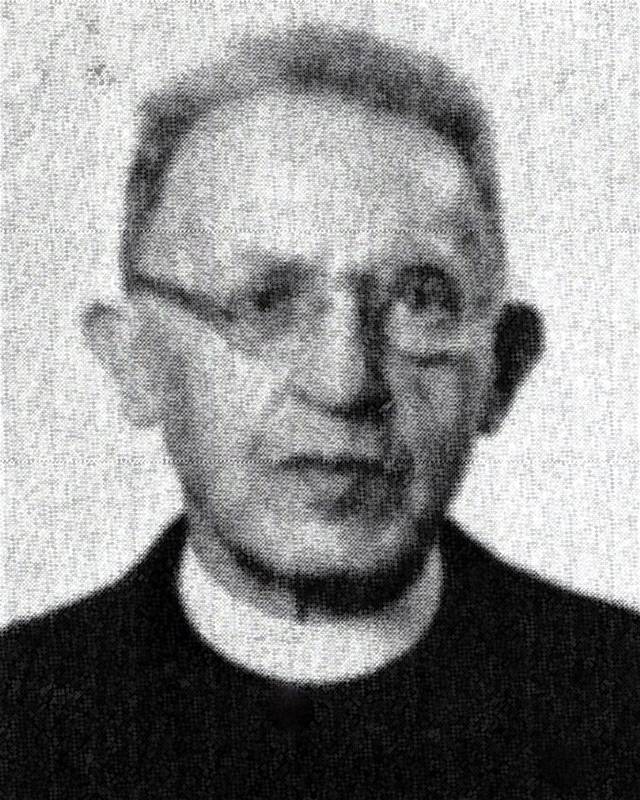 In 1933, Fr. Claudio Fabrizi was appointed pastor of what was now an official parish, and his long tenure and strong leadership steered the church into the modern era. During his 22 years at St. Nicholas, Fr. Fabrizi achieved much success. He liquidated an existing debt of more than $200,000 early in his tenure while the Depression raged on, he expanded and updated the school building, built a new convent, and in 1951 secured the Religious Teachers Filippini to replace the Missionary Sisters of St. Francis. The Fillipinis brought a great passion for education to the school. The first group of sisters to arrive included many who would become revered and beloved figures in the parish. The Fillipinis have remained a vital presence at St. Nicholas for over 60 years and their reputation for providing quality education is a great source of pride. Fr. Fabrizi and his assistants of that era are well remembered and admired to this day by senior members of the parish. Names such as Fr. Anthony Cirami, Fr. John Positano, Fr. Ambrose Colorita, Fr. Joseph Toscani, and two future pastors - Peter Toscani and Louis Diorio, remind many of the great stewardship that St. Nicholas was blessed with over the years. The guidance of these priests helped the congregation cope with the difficult times of the 1930s and 40s. During times of war the church provided solace and inspiration to keep the faith. 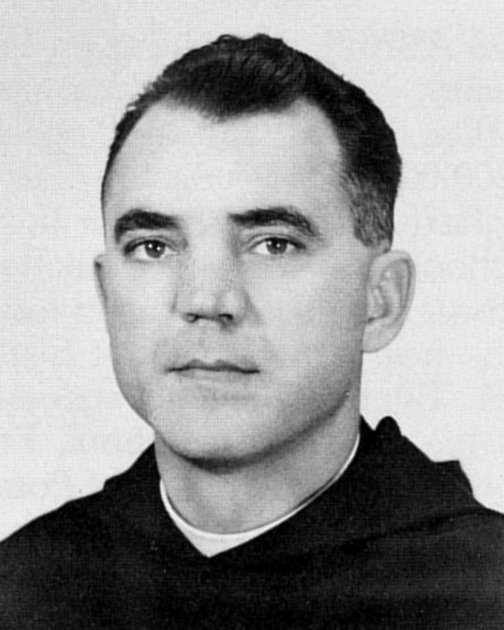 Some parish priests served as chaplains in the armed forces, such as Fr. Cirami in World War II and a young Fr. Joe Gatinella in the Korean Conflict. When World War II was coming to a close, a memorable Communion Breakfast was held to pray for 25 young men from St. Nicholas who died in the war. Their fathers were in attendance and were awarded gold certificates. Fr. Positano celebrated the Mass, and in honor of the fallen soldiers, led over 300 parishioners in procession to the Adelphia Hotel on Chestnut Street for the breakfast. Fr. John was a popular figure and an accomplished musician who led a band prior to becoming a priest. After his ordination, he continued to play his clarinet at parish gatherings. His musical endeavors ranged from leading a St. Nicholas of Tolentine big band to sitting in with the Glenn Miller Orchestra. The decade of the 1960s was a time of great change in the country and in the Catholic Church. Fr. Angelo Allegrini was appointed to lead the parish through these years and he served as pastor from 1961 to 1971. The decrees of the Second Vatican Council dramatically altered the day-to-day practices of the faithful. As Latin was replaced with the vernacular at Mass, St. Nicholas began to conduct services in English and Italian, and maintains a Sunday Italian Mass to this day. The parish always placed a high priority on providing meaningful and beautiful liturgies, and has been blessed with the dedication of many talented priests and lay people. Fr. Stephen Bordi and Fr. Adolfo Toccafondi were notable in the area of church music. Fr. Bordi was an accomplished organist and artist, and Fr. Adolph composed a great deal of music that continues to be performed. Today, the parish choir and cantors provide inspirational music at the Masses and steadfast readers enthusiastically proclaim the word. To accommodate the wide range of changes dictated by Vatican II, Fr. Allegrini decided that the church should be modernized, and in January 1964 he undertook a major renovation at a cost of over $180,000. Many parishioners still remember attending Mass at the Savoia Theatre on Broad Street during the reconstruction. A few years later, the nation’s baby boom produced such a large number of children in the parish that a new school was needed for additional classrooms. It opened on 1968 and Archbishop John Cardinal Krol came to bless the new building in a memorable ceremony. During Fr. Allegrini’s tenure and that of his successor, Fr. Joseph Gattinella, who returned to St. Nicholas as pastor in 1972, activities in the parish continued to thrive as many organizations remained active and the parish school became even more vibrant. During the 1960s and 70s some faithful priests from an earlier era returned as assistants, familiar faces like Fr. Diorio and Fr. Pete were joined by Fr. Eugene from Italy and Fr. Kerr from Malta. Another important part of the parish fabric during this time was Boy Scout Troop 248. Many dedicated parishioners worked with the scouts and developed a proud tradition. 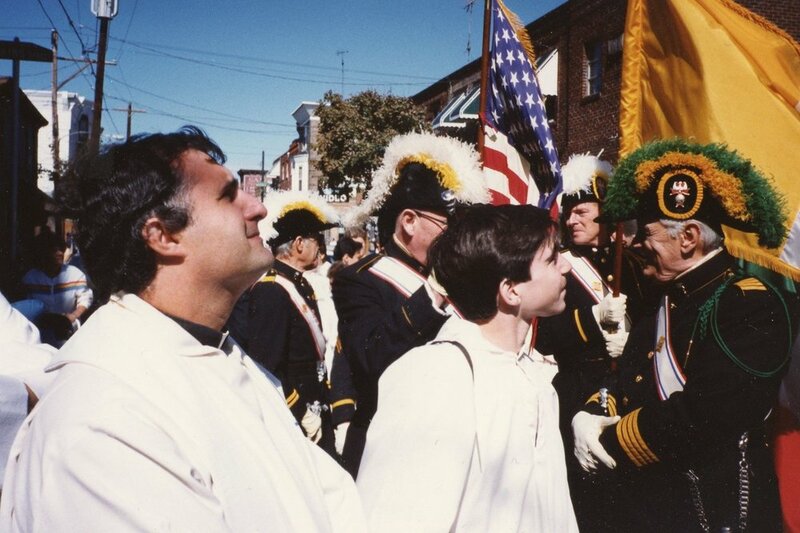 In 1977 a young parishioner named Nicholas Martorano was ordained into the Augustinian order. Fr. Nick initially served the Augustinians at their prep school in Vineland, NJ but ultimately returned as pastor of St. Nicholas in 1984. 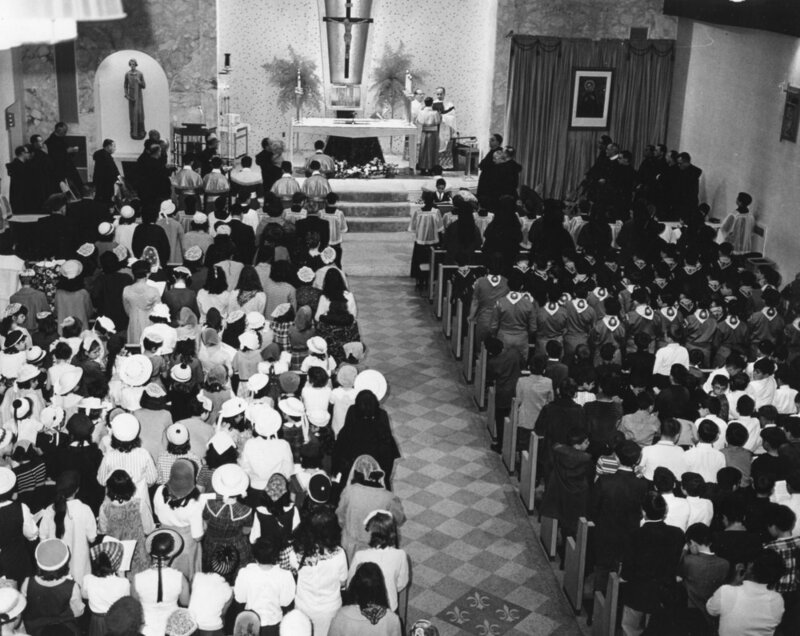 As a native son, Father Martorano recognized the unique asset that his parish possessed – the strong commitment, enthusiastic spirit and deep faith of its members. During his long tenure, he has embodied this resilience and determination and has kept the parish on a firm footing. He has been an enthusiastic leader through difficult times, enlivening the parish liturgies and the celebration of the sacraments, providing innovative religious and social programs, and enhancing the reputation of the school. In 1987, on the occasion of St. Nicholas of Tolentine’s 75th anniversary, Fr. Nick reinstituted a parish procession. The annual event has grown over the past 25 years into a renowned day-long festival that celebrates church traditions and authentic Italian culture – in many ways reflecting the very history of the parish itself and proudly displaying it for all to see. So what is a national parish when it is no longer an immigrant church? Should it pass away once its people have assimilated into their new world? Should it distance itself from its past when the congregation is transformed to include fourth generation Italian Americans united with a myriad of other proud ethnic groups and races? 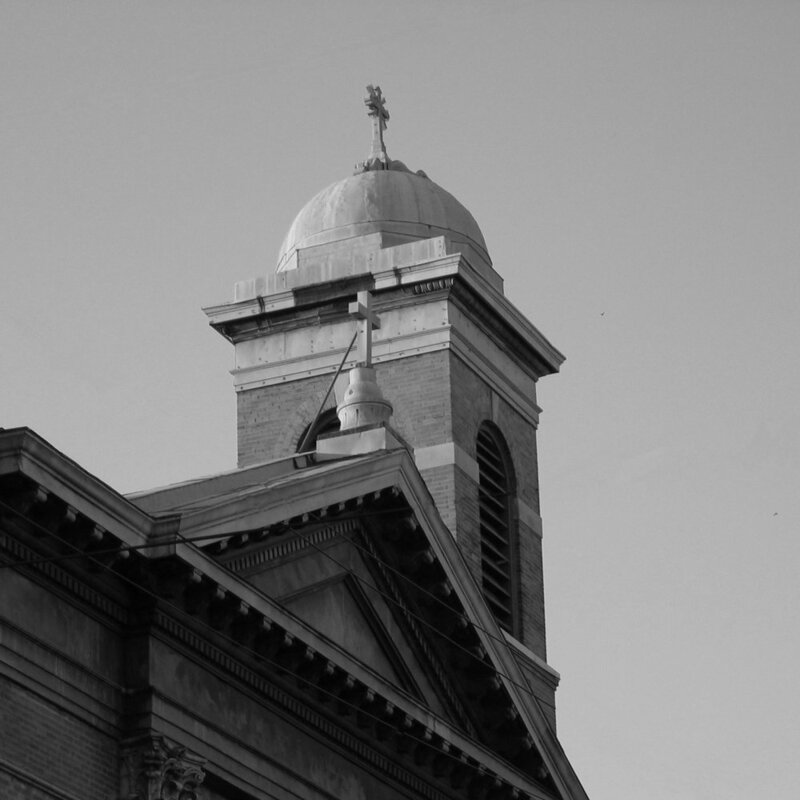 While comparable parishes have almost entirely disappeared or been transformed beyond any recognition of their origins, St. Nicholas has not only survived, but has thrived as a beacon in South Philadelphia, striking the right tone – a strong desire to evolve and move forward in the face of modern challenges, while staying true to the faith, and ever mindful of its distinctive ethnic roots. The motto of the parish’s centennial in 2012, “Faith, Family and Tradition”, was drawn from its own specific ancestry, but the sentiment speaks to all Christian people – serve the Lord in every aspect of your life – internally and externally, at home and in the world outside, in word and in deed, reverently and boisterously, in spirit and in song, and whenever possible – with food! Born in 1245 in Sant'Angelo, St. Nicholas of Tolentino took his name from St. Nicholas of Myra, at whose shrine his parents prayed to have a child. Nicholas became a monk at 18, and seven years later, he was ordained a priest. He gained a reputation as a preacher and a confessor. C. 1274, he was sent to Tolentino, near his birthplace. The town suffered from civil strife between the Guelphs, who supported the pope, and Ghibellines, who supported the Holy Roman Emperor, in their struggle for control of Italy. Nicholas was primarily a pastor to his flock. He ministered to the poor and the criminal. He is said to have cured the sick with bread over which he had prayed to Mary, the mother of God. He gained a reputation as a wonder-worker. Nicholas died in 1305 after a long illness. People began immediately to petition for his canonization. Eugene IV canonized him in 1446, and his relics were rediscovered in 1926 at Tolentino. A studious, kind and gentle youth, at the age of 16 Nicholas became an Augustinian Friar and was a student of the Blessed Angelus de Scarpetti. A monk at the monasteries at Recanati and Macerata as well as others, he was ordained in 1270 at the age of 25, and soon became known for his preaching and teachings. Nicholas, who had had visions of angels reciting "to Tolentino", in 1274 took this as a sign to move to that city, where he lived the rest of his life. Nicholas worked to counteract the decline of morality and religion which came with the development of city life in the late thirteenth century. On account of his kind and gentle manner his superiors entrusted him with the daily feeding of the poor at the monastery gates, but at times he was so free with the friary's provisions that the procurator begged the superior to check his generosity. Once, when weak after a long fast, he received a vision of the Blessed Virgin Mary and Saint Augustine, who told him to eat some bread marked with a cross and dipped in water. Upon doing so he was immediately stronger. He started distributing these rolls to the ailing, while praying to Mary, often curing the sufferers; this is the origin of the Augustinian custom of blessing and distributing Saint Nicholas Bread. In Tolentino, Nicholas worked as a peacemaker in a city torn by strife between the Guelphs and Ghibellines who, in the conflict for control of Italy, supported the Pope and the Holy Roman Emperor respectively. He ministered to his flock, helped the poor and visited prisoners. When working wonders or healing people, he always asked those he helped to "Say nothing of this", explaining that he was just God's instrument. During his life, Nicholas is said to have received visions, including images of Purgatory, which friends ascribed to his lengthy fasts. Prayer for the souls in Purgatory was the outstanding characteristic of his spirituality. Because of this Nicholas was proclaimed patron of the souls in Purgatory, in 1884 by Leo XIII. Towards the end of his life he became ill, suffering greatly, but still continued the mortifications that had been part of his holy life. Nicholas died on September 10, 1305. There are many legends which relate to Nicholas. One says the devil once beat him with a stick, which was then displayed for years in his church. In another, Nicholas, a vegetarian, was served a roasted fowl, for which he made the sign of the cross, and it flew out a window. Nine passengers on a ship going down at sea once asked Nicholas' aid, and he appeared in the sky, wearing the black Augustinian habit, radiating golden light, holding a lily in his left hand, and with his right hand, he quelled the storm. An apparition of the saint, it is said, once saved the burning palace of the Doge of Veniceby throwing a piece of blessed bread on the flames. He was also reported to have resurrected over one hundred dead children, including several who had drowned together. According to the Peruvian chronicler Antonio de la Calancha, it was St. Nicholas of Tolentino who made possible a permanent Spanish settlement in the rigorous, high-altitude climate of Potosí, Bolivia. He reported that all children born to Spanish colonists there died in childbirth or soon thereafter, until a father dedicated his unborn child to St. Nicholas of Tolentino (whose own parents, after all, had required saintly intervention to have a child). The colonist's son, born on Christmas Eve, 1598, survived to healthy adulthood, and many later parents followed the example of naming their sons Nicolás. Nicholas was canonized by Pope Eugene IV (also an Augustinian) in 1446. He was the first Augustinian to be canonized. At his canonization, Nicholas was credited with three hundred miracles, including three resurrections. The remains of St. Nicholas are preserved at the Shrine of Saint Nicholas in the Basilica di San Nicola da Tolentino in the city of Tolentino, province of Maceratain Marche, Italy. He is particularly invoked as an advocate for the souls in Purgatory, especially during Lent and the month of November. In many Augustinian churches, there are weekly devotions to St Nicholas on behalf of the suffering souls. November 2, All Souls' Day, holds special significance for the devotees of St. Nicholas of Tolentino. His Feast Day is celebrated on September 10th.